The Advanced OBGYN Institute is an obstetric and gynecological practice with offices in Weston and Pembroke Pines, Florida. Under the guidance of Dr. Kompal Gadh, the Advanced OBGYN Institute is a multi-cultural, multi-lingual center dedicated to women's health. 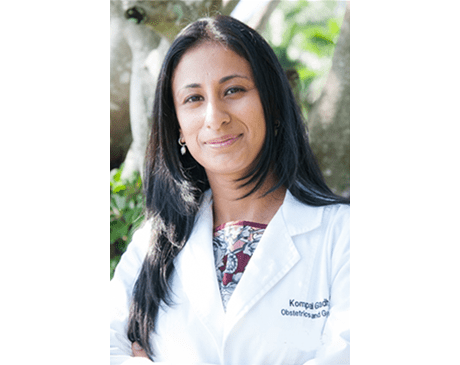 With a passion for educating women and guiding them to make informed healthcare choices, Dr. Gadh serves the women of Broward County, Florida well. The Advanced OBGYN Institute is a state-of-the-art obstetric and gynecological practice that has services for women through every stage of life. Their care starts in puberty with first appointments, then to the childbearing years with prenatal and postnatal care, and finally to menopause, its symptoms and therapeutic treatments. The doctors at the Advanced OBGYN Institute can help women maintain and even improve their health through every stage of their lives with attentive and compassionate care. Dr. Kompal Gadh is an expert in her fields who keeps up with the latest treatments and diagnostic measures. For optimal health and overall wellness, including healthy pregnancies and deliveries, women can entrust their reproductive health to the Advanced OBGYN Institute.